Get your brand in front of the right people, at the right time, in the right location. With years of experience in short-term real estate and nationwide data from over 5,000 launches, we'll identify the city, neighborhood, and property for your next pop-up or store launch. 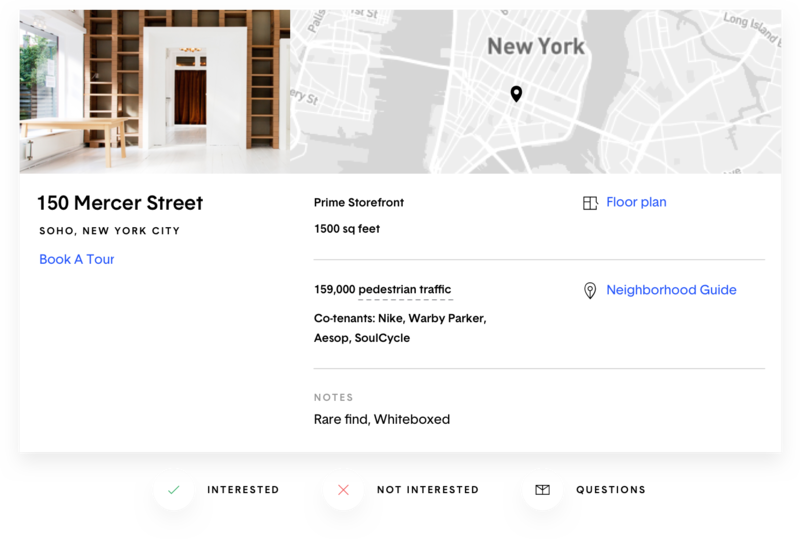 Review and provide feedback on custom property recommendations, schedule tours, and manage payments from any device. Urban creativity blended with glamour and style. Cobblestone roads lined with eclectic boutiques. 5.5 miles of enticing retail experiences. We work with a network of trusted partners across the United States and Canada. Our team is hard at work discovering new properties every day. Subscribe to receive curated retail properties, delivered right to your inbox.